With patented features to prevent distracting artifacts in “color-chasing” or “deep breathing” LED animation effects, the STMicroelectronics LED1202 12-channel LED driver enables smoother and more natural interactions with smart-home devices, wearable electronics, and small appliances. ST is a global semiconductor leader delivering intelligent and energy-efficient products and solutions that power the electronics at the heart of everyday life. ST’s products are found everywhere today. The STEVAL-LLL007V1 evaluation kit is available to support evaluation of the LED1202 and aids development of new products and lighting sequences. So that's all about this news. Thanks for reading. Stay tuned for more such news. High-production VOD(Video On Demand) content is made with the latest in camera and VFX technology, but in most cases, viewers do not get optimum experience because of internet speed and quality constraints. Vu has developed proprietary upscaling technology that combines multiple advanced machine learning algorithms working in parallel with a state-of-the-art DSP (digital signal processor) to provide the best video/audio playback for VOD content. This gives high-end, cinema quality playback for VOD content. Vu Pixelight 4K TV comes equipped with technology that delivers upscaled picture and sound quality for streaming Video on Demand (VOD). Vu puts more control in your hands with the Pixelight Remote with 4 Hotkeys to instantly access built in Premium Licensed apps like Netflix, Amazon Prime and YouTube, and an apps menu with plenty of Indian apps and content too. The Vu Pixelight HDR technology delivers vivid and clear visuals which, added to built-in Dolby Audio and DTS technologies, makes for an immersive entertainment experience as per the company claims. 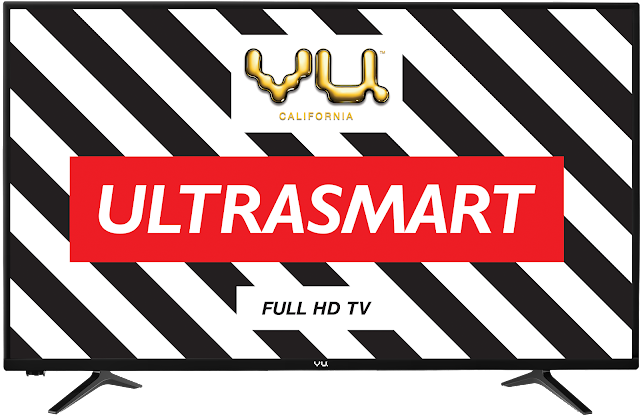 The Vu Ultrasmart Full HD TV (Available in 32,43,49) comes loaded with licensed Netflix, Prime Video and YouTube apps - all immediately accessible on its 4-Hotkeys remote. 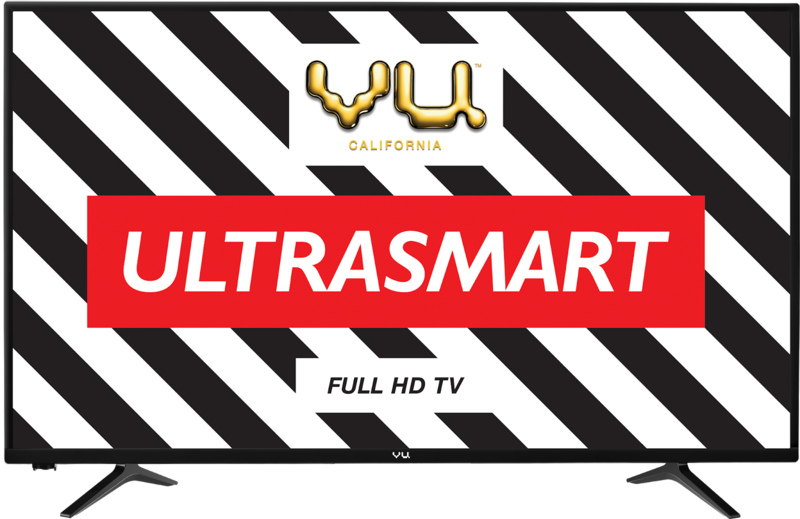 With a unique Smart Interface, the Vu Ultrasmart offers an enjoyable and easy way to access smart content. The High Bright Panel and built in Dolby and DBX-TV audio deliver incredible picture and sound quality, all housed in a sleek piano design bod. 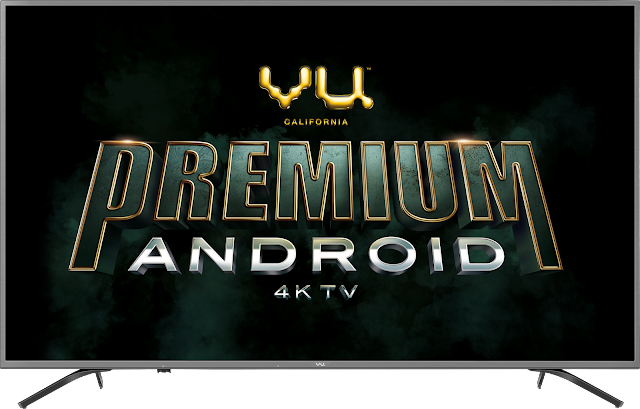 The new age Vu Premium Android 4K TV is powered with HDR 10 & Dolby Vision technology, which helps maximizing contrast and color accuracy to deliver immersive 4K HDR picture quality. Combined with built in high-quality Dolby MS12 Audio and & DBx-tv, Vu delivers wider soundstage audio clarity to your content. The Vu Premium Android 4K TV runs with Android 8.0 OREO which enables access to the entire Google Ecosystem along with certified apps like YouTube, Hotstar etc through Vu ActiVoice remote which creates a more engaging and effortless opportunity to use videos & apps in the fastest way. The Titanium grey material with OD22 slim design perfectly complements modern living room decor while minimising visual distraction and focusing more action on the content. So here is all about newly launched smart TV by Vu. Please share this with your friends and family if you like this video. Thank you for reading. 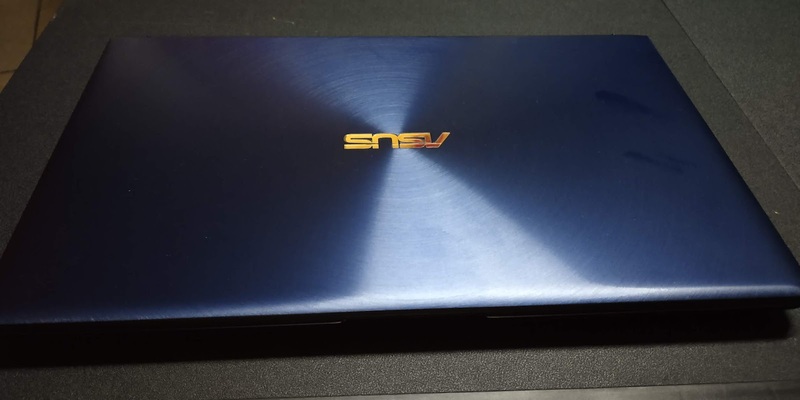 Asus Zenbook 13 (2019) review : Compact yet powerful daily driver. If you are buying a laptop in 2019 then you must ask for a 12-inch form factor that houses a 13-inch display or a 13-inch form factor with a 14-inch display. The second thing is to make sure that these laptops fit inside not just backpack and the thing to know is that they should be light enough that your back does not ache after carrying them for few hours. Taiwanese company bring it is offering the ZenBook 13 via Flipkart. Here is our review. The ZenBook 13 is unlike anything that we have seen in the market till now. When you place the XPS 13 and ZenBook 13 side by side, it feels as if both the laptops are fighting on to who has the thinnest bezels. The ZenBook 13, of course, comes out on top with its NanoEdge display. The ZenBook 13, like most of their Zenebook lineup, is built from a single block of aluminum. Asus has achieved its slim and lightweight form factor with the help of an unique hinge design called the ErgoLift hinge. The display itself measures 13.3-inches diagonally but has narrow 2.5mm bezels around it, which minimizes the overall chassis area. The hinge raises in such a way that it hides the bottom side of the display bezel, giving a really clean and bezel-free viewing experience. 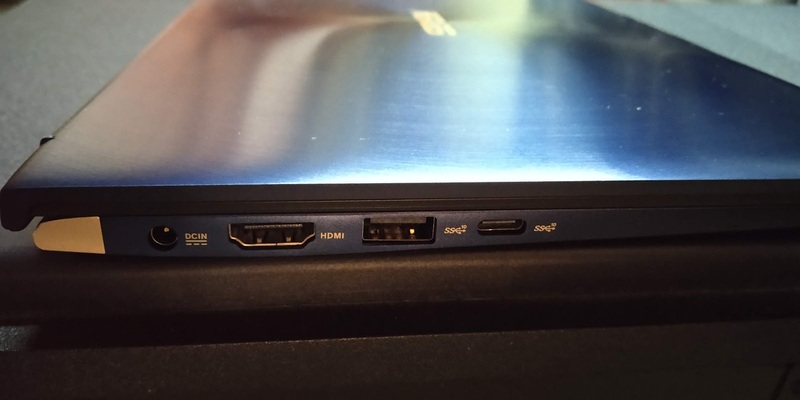 The design is so stealthy that Asus kept the webcam at the top and not at the bottom or on the side. 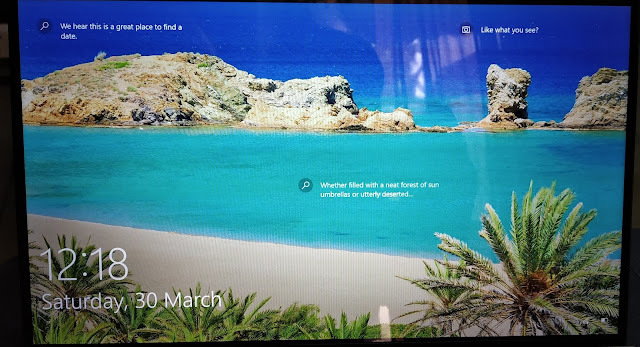 The ZenBook 13 features a 13.3-inch display with Full HD resolution of 1920 x 1080 pixels. The display is bright with vibrant colors. With the ZenBook 13, Asus claims to have the lightest 13-inch laptop in the market, which weighs just 1.09 Kg. Honestly, in the backpack, it adds little weight. The ZenBook 13 also offers good choice of ports with one USB 3.1 Type-C port, one USB Type-A port, one USB 2.0 port, one HDMI port, one microSD card slot and an audio combo jack. Only complain for me is that it still uses a barrel-type charging cable when it could have switched to USB-C charging. The laptop also offers the best battery life. During the time, I spent testing the device, which was mostly in the work scenario, the laptop managed to get me through the entire work day. I have seen laptops that give up at around five or six hours but the ZenBook 13 with its 3-cell 50Wh lithium-polymer battery. Asus says it is rated to last up to 14 hours but the most conservative figure is 8 hours. Our review unit came with 8th generation Intel Core i7-8565U processor, 8GB of RAM, 512GB PCIe SSD storage and NVIDIA GeForce MX150 graphics processor with 2GB of GDDR5 memory. You can throw at complex office files, multiple applications, Microsoft Office, web browsing and anything else that would need a lot of compute memory. During the week spent using the laptop, I did not see any kind of slowdown or snaggy performance. Since there is GeForce MX150 onboard, you can even play games like PUBG and Fortnite at the low resolution. The only problem that I could discern is that the fan runs a bit too high and after a point, the sound starts to annoy you. The ZenBook 13 seems so small that one would assume it comes with a shallow keyboard offering very little key travel but it actually ships with a proper keyboard. The keyboard is quite pleasant to type. The only real problem with this keyboard is the shift and function key which are really small and placed on either side of the upper arrow key. It is such a bad implementation that everytime you select something and wish to move the arrow, you end up moving the cursor. 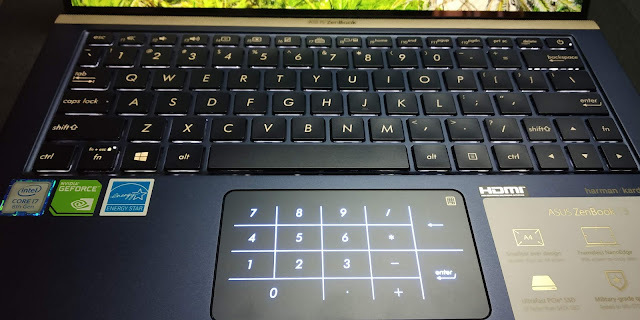 The trackpad comes with an unique feature, the unique element is called NumberPad, which is essentially the trackpad augmenting numerals on top of it. It is a clever way to offer you numeric keypad without having to place it on the keyboard. The feature is activated by by pressing an icon on the trackpad for a second. Asus is among those OEMs which use Windows precision drivers which makes trackpad usage more fluent and easy with gestures as well. So here is all about Asus Zenbook 13 review. Do let's know your thoughts in comment below. Stay tuned for more. Thank you for reading. Huawei launched : P30, P-30 Pro, Wireless Earphones Evolved With Two new Watch GT edition. Huawei launched : P30, P-30 Pro, Wireless Earphones Evolved, Two new Watch GT edition and AI to detect signs of visual impairment. Huawei Consumer Business Group (BG) unveiled the HUAWEI P30 and HUAWEI P30 Pro. The HUAWEI P30 Series builds on the HUAWEI P Series. These devices feature the innovative HUAWEI SuperSpectrum Sensor, an optical SuperZoom Lens, a new HUAWEI Time of Flight (ToF) Camera, and enhanced optical and AI image stabilization technology. With these revolutionary technologies, the HUAWEI P30 and HUAWEI P30 Pro capture incredible photos and videos in every scenario. The HUAWEI P30 Series will change users expectations of smartphone photography. Achieving a record-high overall DxOMark score of 112, the HUAWEI P30 Pro is equipped with a new Leica Quad Camera System, including a 40MP main camera with the HUAWEI SuperSpectrum Sensor, a 20MP ultra-wide angle camera, an 8MP telephoto camera, the HUAWEI ToF Camera and a 32MP front camera that takes selfies to a new level. The 1/1.7-inch HUAWEI SuperSpectrum Sensor looks at light in a fundamentally new way. The RYYB HUAWEI SuperSpectrum Sensor deviates from the traditional RGGB Bayer filter by replacing green pixels with yellow pixels, yielding a high maximum ISO rating of 409,600 on the HUAWEI P30 Pro and 204,800 on the HUAWEI P30. This fundamental shift in sensor technology, combined with HUAWEI AIS, OIS and the HUAWEI P30 Pro’s f/1.6 wide aperture, delivers extraordinary photography and videography experiences across a wide range of scenarios and lighting conditions including extreme low light producing images with enhanced detail, color and clarity. Through a new periscope design, the SuperZoom Lens supports magnification of 5 times optical zoom, 10 times hybrid zoom and 50 times digital zoom. A prism element in the telephoto camera bends light at a 90-degree angle to maximize focal length while minimizing camera height, without disrupting device design. The HUAWEI ToF Camera unleashes the imagination. Unique to the HUAWEI P30 Pro is a HUAWEI ToF Camera that captures depth-of-field information to deliver accurate image segmentation. Precise distance measurement allows for the simulation of multiple levels of bokeh. 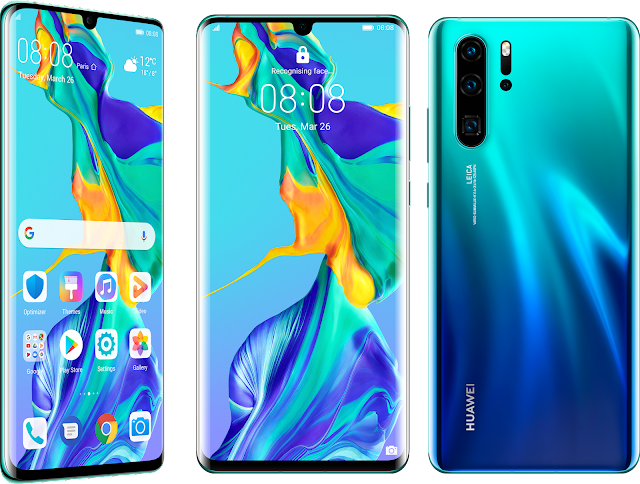 During the HUAWEI P30 Series Launch event at the Paris Convention Center, Huawei Consumer Business Group (BG) unveiled HUAWEI FreeLace. Supporting HUAWEI HiPair, HUAWEI FreeLace can easily be paired with and fast charged by Huawei smartphones intuitively—by simply plugging into the device. Launching in Graphite Black, Amber Sunrise, Emerald Green and Moonlight Silver, HUAWEI Freelace will be available in selected countries starting April 11. HUAWEI FreeLace will be available for 99€. HUAWEI FreeLace can also be plugged to the USB Type-C port of any smartphone, tablet or PC for quick charging a five-minute charge gives the earphones up to four hours of playback time. HUAWEI FreeLace supports up to 18 hours of playback or 13 hours of talk time on a single charge. Inside each of the speakers is a large dynamic driver unit with a diameter of 9.2mm. Comprising an ultra-thin TPU diaphragm and titanium plating, the drivers deliver a punchy bass and smooth treble. The microphone module incorporates a dual-cavity design. The Active Edition features the same 46mm watch face as that of HUAWEI WATCH GT Classic Edition and Sport Edition, while the Elegant Edition features a smaller 42mm ceramic bezel option. HUAWEI WATCH GT Active Edition is fitted with a 1.39-inch AMOLED HD color touchscreen with a resolution of 454 x 454 pixels, while the Elegant Edition with a 1.2-inch AMOLED HD color touchscreen with a resolution of 390 x 390 pixels, offering you crisp and clear display. The HUAWEI WATCH GT uses an innovative dual-chipset and smart power-saving architecture that enables it to switch between performance and efficiency modes depending on an individual’s activity to maximize battery life. HUAWEI WATCH GT Active, Sport and Classic Editions features two-week battery life with typical use including: all day wear and heart rate function activated, scientific sleeping function activated at night, 90 minutes of exercise per week and message notification. The Elegant Edition is up to one week. Used without exercise tracking in a more traditional watch scenario, the HUAWEI WATCH GT can stay charged for up to 30 days. As per company claimed. Here are little glimpse of what HUAWEI has delivered in their Paris launch event. Stay tuned for more. Today we are writing the review of Targus TurboQuad USB charger. From the name itself we can make out Quad means 4 USB ports. You can charge up to 4 multi devices with 4 USB ports, 5V 2.4A (Max) each 4 interchangeable AC plugs, suitable for multiple countries. Beside this this charger has interchangeable plugs in to fit in different types of country socket. So no need to buy extra extension for the country you are traveling to. Warranty card and user manual. 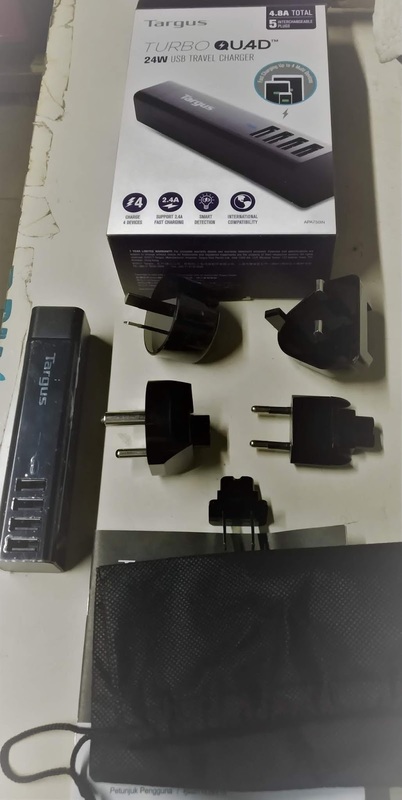 Targus has know for their solid quality and same apply for this travel charger as well. Charger is made of tough plastic and small enough to fit in your pocket. As you can say it's elongated shape help it to house 4 USB port. In front from top to bottom it have Targus Brand logo followed by LED Indicator for charging and at the end 4 USB port. On the other hand it have modular plug in to fit AC adapter for easy portability. Not only this separation of AC adapter and charger itself make it easy to carry but hassle free to fit in any charging board. The maximum output we got per USB port was 2.4 Amps which almost equivalent to Qualcomm’s Quick charge 2.0. The outputs we got in our tests while using all the USB ports varied between 1.2 Amps to 2.4 Amps. Targus TurboQuad charger comes with a feature called the "Smart detection". It allows the ports to deliver customized charging speed by automatically detecting the exact charge required by the connected device. The maximum output quoted by the brand is 4.8 Amps and we got a similar output in our tests. Targus also provide one year warranty for the device if something goes wrong or it started malfunctioning. The product is priced at 2799 INR but sold on Amazon at 1449 INR while writing this article. Charging doc is having different pin requirements. You have charging cables but only one adapter to charge them all. May support fast charging but fast charger adapters not always recommended for all type of devices. And believe me guys this probably best solution for your problem. 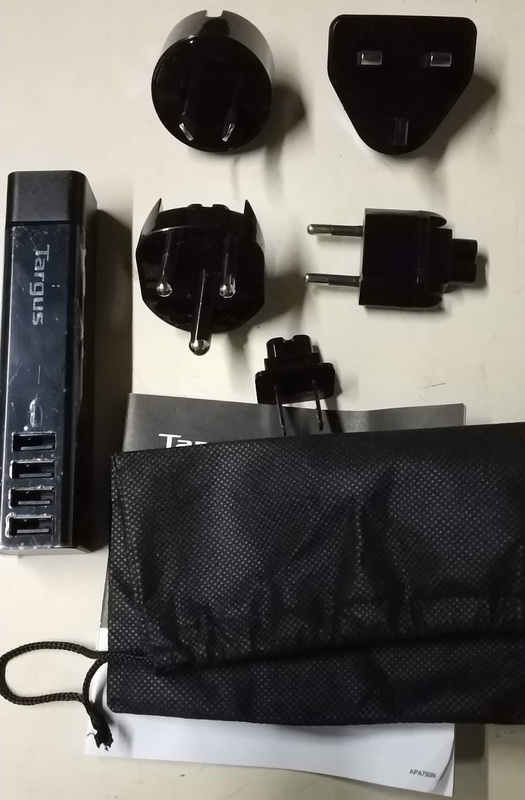 Beside it's usefulness build quality of Targus TurboQuad charger is excellent and solid to use. It can easily service tough conditions easily. Beside many of the device battery life affected by charging it with inappropriate/ fast chargers. With feature of this Targus TurboQuad Smart detection you don't have to worry about for safety of your battery health. Samsung India, the country’s largest consumer electronics and mobile phone brand, today announced the launch of its 2019 line-up of Air Conditioners. 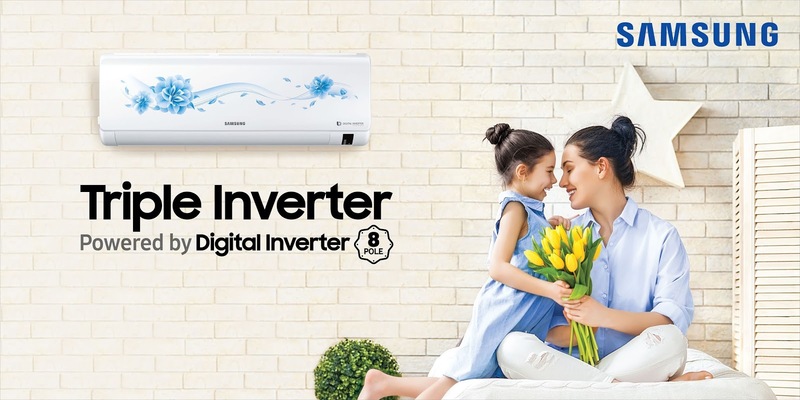 The new ACs with Triple Inverter Technology have been designed carefully keeping in mind the consumers’ needs, which are faster cooling, less electricity consumption and uncompromised cooling even in hot summers of upto 54 degree Celsius. Further enhancing the comfort, the latest ACs will come with ‘Convertible Mode’ that lets a consumer change the cooling capacity basis the number of people present in the room. The new series will also have TRIPLE Warranty benefits such as 10 years warranty on compressor, 5 years warranty on Durafin condenser and newly introduced 2 years warranty on PCB Controller on both Indoor and Outdoor units. Triple Inverter Technology is powered by Advanced Digital Inverter 8-Pole Motor, which ensures more energy efficiency and even lesser electricity consumption. The Power Boost technology in the new series produces less torque fluctuations, which ensures more effective and efficient operation with less vibration and noise. Samsung’s Anti Corrosion Durafin condensers, which are best suited for Indian climate conditions are supported by Multi Jet+ Technology that enables faster cooling, reduces condenser leakage and offers the best in class durability to the consumers. Durafin Condenser comes with upto 5 times larger heat exchange area v/s conventional model. Convertible Mode, introduced this year, is Samsung’s another technology, which when activated allows consumers to save more energy when they are sitting alone in a room. Convertible mode uses less compressor capacity and thus, further minimises power consumption. With the Convertible Mode consumers can save more energy as it can adjust cooling capacity as per the number of users inside a room i.e. a 2T AC can be converted to 1.5T, 1.5T can be converted to 1T and similarly, a 1T AC can be converted to 0.8T using this feature. 2019 series is a comprehensive line-up catering to every segment of consumers from price point INR 45,400 ~ INR 75,000 with total 36 SKU’s across tonnage in 3★ and 5★ in PFC and Copper models. The consumers can avail upto 10% cashback on all Triple Inverter models with Axis Bank, Citi Bank, ICICI Bank and HDFC Bank, till 31st March, 2019. Samsung is also offering free installation on Windfree and 5★ Inverter ACs and charging only INR 499/- for installation of 3★ Inverter. To drive affordability Samsung has also introduced attractive finance offers like zero down payment and long tenure EMIs, which gives the users an opportunity to upgrade to energy efficient air conditioners with multiple value propositions. So here is all about new launch AC by Samsung. Stay tuned for more. If you have any other query then do let us know in comments below. Thank you for reading. 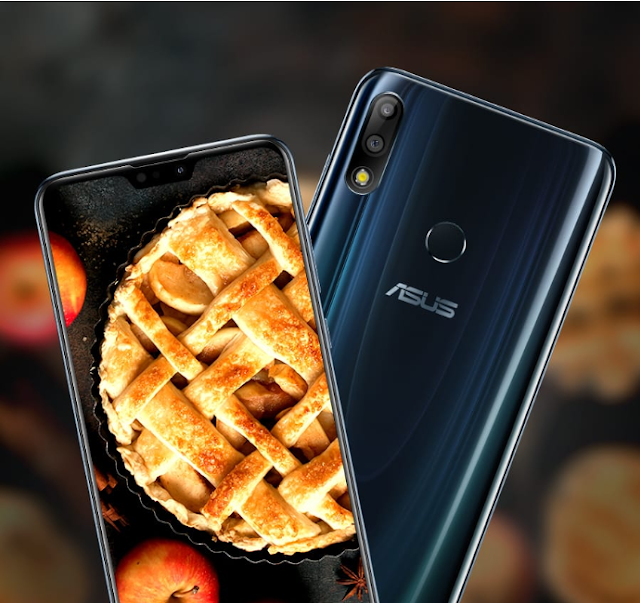 Earlier Asus it's been rumored to get Android Pie in march. But unfortunately Asus has officially announce new dates for Zenfone Max Pro M1, Zenfone Max Pro M2 and Zenfone Max M2. So Zenfone user have to wait little longer then expected to get android Pie for phones mentioned above. We deeply apologize for missing our previously announced deadline for the Android Pie update. We promise it won’t be the same this time around. We’re bringing the Android Pie to the Zenfone Max Pro M1, Zenfone Max Pro M2 and Zenfone Max M2 latest by April 15th. If you want to get earlier experience then visit this links and enroll for Android Pi beta tester. So here is the short news for Asus Zenfone user. Stay tuned for more. 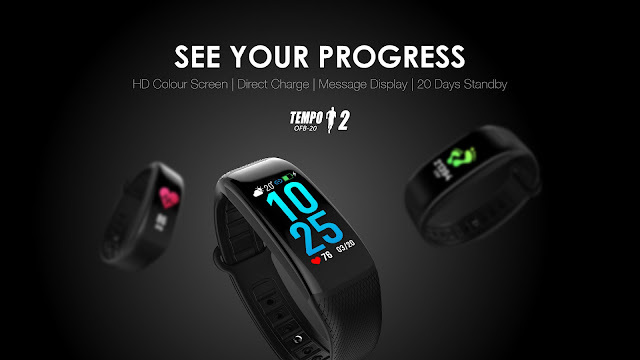 The ultra-stylish Tempo 2 OFB-20, boasts colored screen in the segment. Tempo 2 continuously monitors your heart rate. The device gives you a count of the steps taken, distance covered and calories burnt in different training modules (including rope skipping, running and bicycling), which will let you remain on top of your health goals. Lifting the wrist is all it takes to directly view your mobile apps notification on the screen via Bluetooth connectivity. Tempo 2 OFB-20 supports advanced low energy consumption technology which helps the device to stay active up to 20 days. As claimed by company. Tempo 2 is IP67 splash resistant so you can rinse your hands without having to worry about water splash, durability, sweat, cosmetics, dust or anything else. The strap of the fit-band comes with an in-built USB port thereby, ensuring ease of plugging and charging. It supports the 4.0 Bluetooth version.The build material of the band is ABS/PC/TPU and it measures 260*20*12mm. With all this advance features this band is priced at INR 2,999 in Indian Market. So enjoy your Holi safe without missing your fitness tracking with color display altering you for your message on your mobile. So here we end up information about Tempo 2 OFB-20. If you end up liking this share with your friends and family. If you have any query do let us know in comments below. 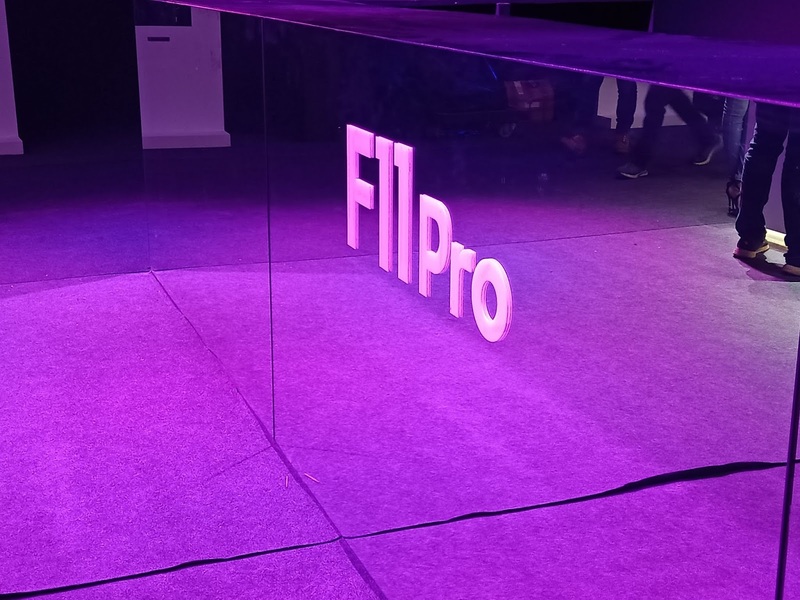 Finally Oppo has announced their most awaited smartphones F11 Pro and F11. 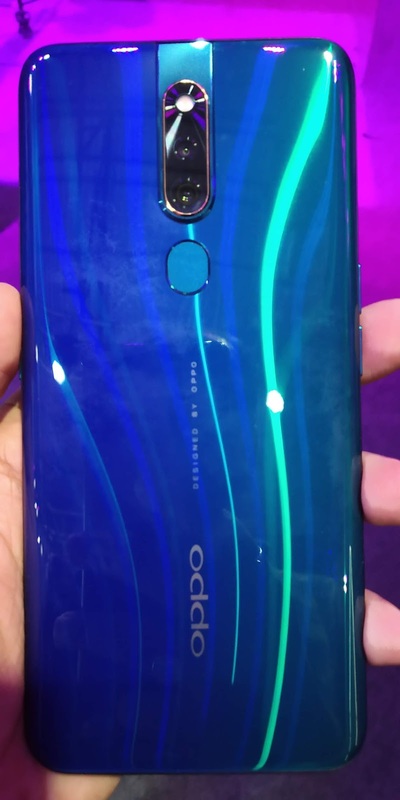 The company also launched a cheaper variant of the device with a dewdrop notch named it as Oppo F11. 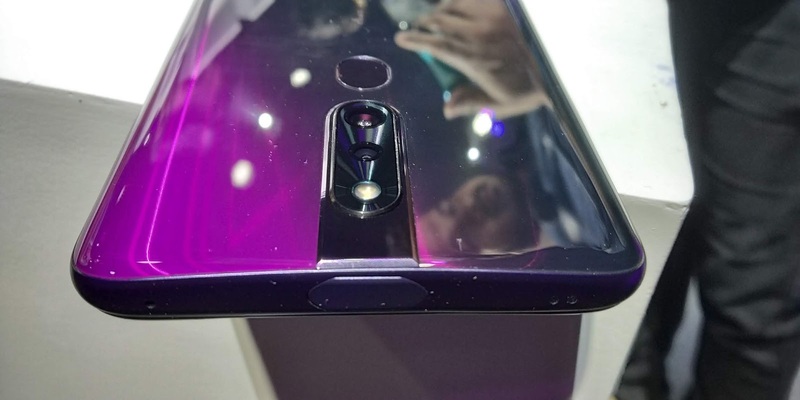 This time Oppo has focused on ongoing trend of making baseless smartphone. They have design their Oppo F11 Pro completely baseless by implementing Pop up selfie camera. When you switch to front camera the device using it's motorize mechanism pops up the front selfie shooter. Oppo has claimed they have achieved screen aspect ratio of 19.5:9 and 90.90 percent screen to body ratio, which is very impressive. Device is equipped 6.53" Inch LTPS IPS LCD with Full HD+ display panel. Device runs on Android 9 Pie with Color OS skin on top. Oppo F11 Pro has Helio P70 Octa-Core processor along with Mali-G72 GPU and 4000mAh battery with support for fast charge. The dual camera setup on the back consists of a 48 Megapixel sensor of f/1.8 aperture and a 5 Megapixel depth-sensor with f/2.4 aperture with LED flash. The selfie shooter comes with 16 Megapixel sensor with f/2.0 aperture. Both front and back camera are able to shoot Full HD videos. Apart from that device comes with Dual SIM slots, Buletooth, WiFi, MicroUSB port and NFC. 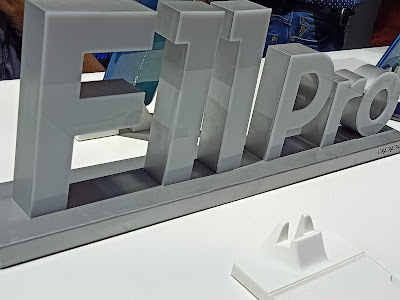 Oppo F11 Pro price in India is Rs 24,990 for 6GB RAM and 64GB storage option. The phone will be available for pre-order from March 6 and the sales begin March 15. It can be bought online from Amazon, Snapdeal, Flipkart, Paytm, Oppo online store and via offline stores also. Oppo F11 is identical with Oppo F11 Pro with minor changes. Oppo F11 comes with Due Drop notch display. The display is 6.53" LTPS IPS LCD with Full HD+ having 19.5:9 aspect ratio. The smartphone is powered by same chipset, MediaTek Helio P70 Octa-core processor long with Mali-G72 GPU. F11 also comes with 4GB RAM and128GB storage, accompanied by hybrid SIM slot. On the back side there dual camera setup of 48 Megapixel f/1.8 sensor with 5 Megapixel f/2.4 depth sensor with LED flash. The front camera is a 16 Megpixel f/2.0 sensor. Oppo F11 also comes runs on Andorid 9 Pie with Color OS skin on top out of the box. It have all same connectivity options as Oppo F11 Pro and also comes with 4000mAh battery. Oppo F11 will be priced at Rs 19,990 for the 4GB RAM/128GB internal storage variant. So here is about the launched devices form Oppo. Stay tuned for more. If you like it do share with your friends and family. 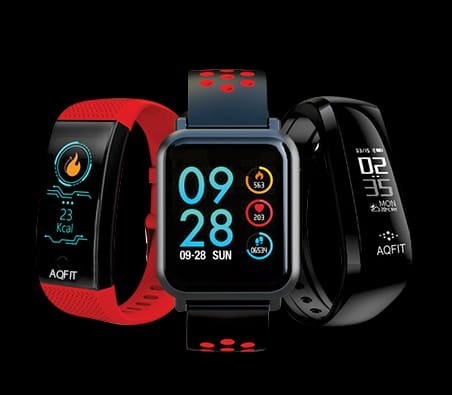 Technology start up AQ-Fit smart fitness brand is all set to launch a new smart watch with an ideal feature in the midweek of this month. AQ-Fit aims to keep their clients furore with the astonishing release of fitness smart watches. W8 model introduction boosts demand for customized watches on the market. AQ-Fit is a high-tech enterprise specialized in R&D, designing, manufacturing and marketing. Their main products include Smart Band and Smart Watch. AQ-Fit will continue to work towards being networking wearable solution experts. Presently having corporate office in Noida and R&D facility in Shenzhen(China). The best feature is the waterproof material. AQ-Fit drags its customers to experience the excellent track record of the fitness and activity on a daily basis for future reference along with sleep monitoring. The watch parts are convenient and removable for cleaning. The power consumption is reduced by 50% with 40% higher chipset capability. The W8 smartwatch is extremely accurate. This is expected to be a great hit in the watch production. W8 is available at all online website shopping portal such as Flipkart, Amazon, Snapdeal, shopclues. Here is most exiting upcoming smartwatch. Stay tuned for more. If you end-up liking this article do share with your friends and family.